After a few months of inactivity, The Irish Orienteer is moving to a new location here from April 2015. You can still read all the older posts and the archive of printed material from TIO and from the LOC Newsletter which preceded it. We've had lots of big events recently, with Home Internationals, Championships at home and abroad and lots more to come. There are also IOA-run courses on "computers in orienteering" in November and a "major events" conference in the New Year. We start this issue with Helen Baxter's report on the Veteran Home International in September in the Forest of Dean (in England although most of us thought we were in Wales ...). The Juniors beat Wales, would the Veteran's follow suit? This year’s Veteran Home International was held in conjunction with the Caddihoe Chase in the Forest of Dean; a type of terrain that Irish runners rarely get to experience - mature mixed woodland with old mine workings, charcoal burning platforms and plenty of deer and wild boar. The maps had a high proportion of white which resulted in some fast times – (although one or two vets complained that brashings didn’t count as runnable!). The Youth Hostel had hot water which was a definite improvement on last year although the bumpy, narrow, steep access road was more than a little hair-raising for the drivers. For the third year in a row the weather was great, no rain and some sunshine as each day wore on. Ireland put in a full team of 24 and everyone completed their races which meant points were scored by all. There were some notable results on Day 1 with Marcus Pinker picking up 4th in M40 and Angus Tyner coming 3rd in M45 plus Toni O’Donovan and Jean O’Neill coming 2nd in their respective classes and Ruth Lynam winning W60 by 12 minutes!! The dinner that evening was a welcome social occasion with the more energetic members of the team opting to walk to and from the village hall (a mere 5k round trip). Ruth continued her fantastic form on Day 2 by being the leading runner in on the first leg of the Relays causing great excitement in the Irish team and a certain amount of surprise elsewhere. This team came in 2nd in the WMW class. Ruth you were definitely ‘Queen of the Forest’ this weekend (man of the match doesn’t sound quite right). 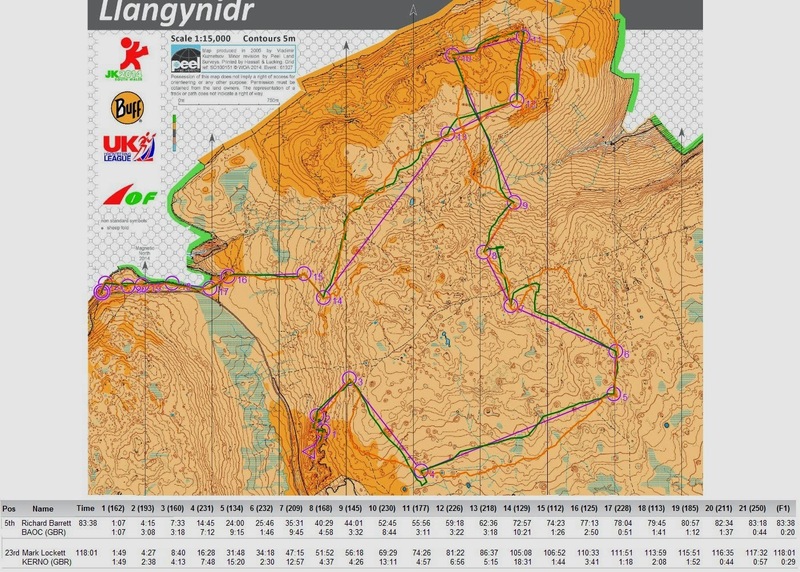 Despite some other strong performances in the relays (Marcus managed to pull his team up 7 places in the MWM class) we didn’t quite manage to catch the Welsh but there is always next year even if it is on their ‘home’ terrain at Teifi Pools (used in Croeso 2012). The VHI weekend is a great opportunity to run in different terrain, it tends to be a relaxed and fun weekend. If you haven’t put your name forward before – don’t be shy, while ability might be the main selection criteria, availability is just as important. If you are over 35 Helen Baxter wants to hear from you – it’s never too early to express an interest! Next year the event will be held over the first weekend in October in Wales – get it in the diary. The annual Junior Home International competition between England, Ireland, Scotland, and Wales took place at Oban in Scotland on August 30-31, just about the time the schools went back after the summer. . The competition is for juniors of M/W 14 up to M/W 18. After a tough weekend of racing, Scotland just pipped England for the overall title, the battle only being decided by some of the very last relay runners. Ireland won back the Judith Wingham trophy from Wales, after a successful weekend, with some positive results. For more detailed results, from each day, and the overall points, you can go to the EckO website here. For pictures from the weekend (and there are a lot! ), you can look to this flicker page here. The overall results were Scotland 129, England 127, Ireland 56, Wales 46. JEC Team manager Brian Corbett reports: Ireland were represented at the 2014 Junior European Cup (JEC) by Roisin Long, Niamh Corbett, Paul Pruzina and Eoin McCullough, over the weekend of 3-5th October in north east Belgium. The annual competition covers classes of W18, W20, M18 and M20 with each country allowed up to six participants per class. 14 countries participated this year with GB, Sweden, Norway and Russia fielding full teams while Ireland sent one representative per class. The team took the red eye flight to Eindhoven on Friday morning and after settling in at the accommodation in a complex consisting of hundred of small houses, were ready to start around 5 pm for a sprint race though the mostly pedestrianised city of Lommel. Full quarantine procedures were implemented with a slight panic when we were told that one of the controls had to be moved from an underpass to the top of the bridge due to an unhappy resident. Paul Pruzina had an excellent run in M18 to finish 36th in a time of 15 min and 3 sec just 1.46 behind the winner Joey Hadorn from Switzerland. Roisin finished in 39th just 2.42 behind the winner. Eoin in M20 finished just 1.58 behind the winner Oskar Andren from Sweden while Niamh finished in 44th on W20. The long distance was exactly that: 13.8 km for M20 to 9.1 km for W18. Nevertheless, the terrain was pretty flat meaning that the running was fast and winning times around the hour. The day was hot (23 degrees) and sunny to match the beach atmosphere in the sandy finish area. The start was from a military compound several km from the finish. Roisin finished in 41st position 19 minutes behind Tilda Johansson from Sweden who completed the course in 60 min. Paul was 42nd while Eoin was 46th in M20 where the winner, Anton Johansson, won by a phenomenal 6 minutes with local favourite Tristan Bloemen in 6th only 50 seconds off second place. The relay on Sunday morning was in similar sandy and forested terrain, the hint being the name of the map: the Sahara. A compact field acted as start, spectator control and changeover. There were only two relay classes, M and W, and with over 30 teams in each, there was a great atmosphere at the start and throughout the race. The spectator control was particularly entertaining with several runners literally passing the control and failing to notice it resulting in loud callbacks. While Anton Johansson put in another stunning run to come home clear by more that a minute in the first leg, the Danish men came through just like their women’s team to win. Ireland M team was lead off by Eoin who had a great run, as did Paul and Róisín who came close to embarrassing GB and German teams. The Belgian organisation was top class and just as impressive was the support of their athletes no matter what position they were in. This is an excellent team competition held in reasonably convenient places for us in Ireland and over a short time span. However it is during school term. Next years competition is in the northern part of Germany. Will we be there? See the JEC website here and JEC reports, interviews and maps here. The Northern Ireland Championships were run by Fermanagh Orienteers on a new map just across the border in Co. Cavan, at a scout centre called Castle Saunderson, on 4th October. Cork O's Darren Burke travelled from Munster and had a convincing 4-minute win over Hugh Cashell (CNOC) in M21Long, with Steven Linton (NWOC) the NI Champion in 5th place. On the W21 Long course, Ruth Lynam (CNOC) showed a clean pair of heels to the rest of the field, a thing she has been doing since she was a slip of a girl, finishing 8 minutes clear of NI Champion Olivia Baxter (LVO). You can see the full results, routes and split times here. You can see the full list of Norhern Irelend Champions here. The 2014 Munster Championships are at Muckross, Killarney, on November 2nd but entries have closed, at least in theory - maybe if you contact Kerry Orienteers they'll still let you come and run in the Kingdom. See the event details on the Kerry Orienteers facebook page here. Muckross is a really good area, with a mixture of runnable mountainous forest and parkland dotted with islands of intricate forest. It was used for the Relays at the 1998 World Cup races in Ireland and for Shamrock O-Ringens and Irish Student Championships and other high profile events. The Connacht Championships are on a new Padraig Higgins map at Strandhill, Co. Sligo, which seems to be right beside Sligo Airport, so it might be possible to fly to the event, on November 16th. Galway-based Western Eagles are staging the event and cheapest entries are before 31st October with late entries to 7th November. See details here. Waterford Orienteers stage an ambitious programme of three events under the "Déise Days" banner on the October Bank Holiday weekend, starting with a night-O on the dunes at Tramore on Saturday, a Munster/Leinster League event at Castlecomer, Co. Kilkenny on Sunday and a city race in the centre of Waterford on Monday. See details here. The seventh London City race was on September 21st in the financial heart of the City, and attracted an entry of more than 900 runners, from all over Europe, though very few from ireland this year. (There was a city race in Brussels the same day and at least one orienteer managed to run both races, travelling by Eurostar between the two capitals).The event finished in the multi-level Barbican Estate with its profusion of confusion: different levels, uncrossable boundaries and sloping surfaces. I was convinced at one stage that the planner was being too clever and tried to outwit him by running underground into a car park which, it turned out, hadn't been mapped. If I had run for a few more metres on the level I'd have seen my control as plain as day. I was surprised to see a girl I didn't recognise running in an Ireland Team O-top but the top may have brought her luck as she finished 1st in the international "Euro Youths Women" class: maybe Barboro Pijakova is one of the Pijakovs of Ballyjamesduff? Next year's race is on Sunday 12th September. See here and here for information. I took part in the North American Orienteering Championships, near Ottawa in Ontario last weekend. There were about 600 entries. Terrain for the Middle and Long was very technical natural deciduous forest.. There was also a sprint and relay in a park and streets beside a large lake. There were a lot of very fit elites there-it was a World Ranking Event. Most competitors stayed at the event centre and took all (excellent) meals there. Shuttle buses brought competitors to the venues. It was a sports centre so swimming was free! I carried the flag for Ireland at the Opening ceremonies in the adjacent ice hockey arena. (we even got to see a game afterwards). Other Irish there were Ronan and Julie Cleary, and the Young family - Fingal's Ciaran's brother Alan and Mairéad and children. 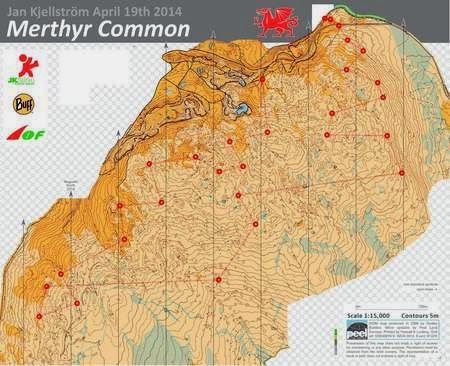 Orienteering used to be just about maps and forests; now it's very much about computers too. We use them for mapping, for course planning, for communicating, for processing entries and results, so it's no surprise that IOA are running another "Computers in Orienteering" workshop, this time at the maldron Hotel near Portlaoise on Saturday November 22nd. See the IOA web site www.orienteering.ie for details. Places are limited but there may be one or two left. The cost is €25 per person. You can see how computing has developed since the 1987 World Military Championships in Ireland where computers were used to process results here. In a nail-biting finish, Ireland managed to pull one point clear of Wales to finish third in the 2014 SHI in the Aberdeen area on October 18/19th. Not to diminish the performances of the team as a whole, it is clear that the deciding factor in the weekend was the presence of Swedish-based Nick Simonin on the Irish team, running in Scotland in preparation for next year's World Championships. Nick finished first of the SHI runners in the M21 Elite individual at Balmoral, and had another blistering run in the Relay on the heathery dunes of Forvie. The overnight position was Scotland 48, England 46, Ireland 10, Wales 10. In the Relays England finished first with 26 points, Scotland 25, Ireland 11, Wales 10, making the final score Scotland 53, England 50, Ireland 21, Wales 20 - as usual a game of two halves. This year featured a SHI-and-friends mixed sprint relay at Edinburgh ad Stirling a week before the SHI proper, along the lines of the one in last Summer's World Championships in Italy.Denmark won overall and Ireland finished 1 minute ahead of Wales, a premonition of what would happen at the main SHI. See all the results etc at the Race the Castles web site here and here's a Scottish report on the event. 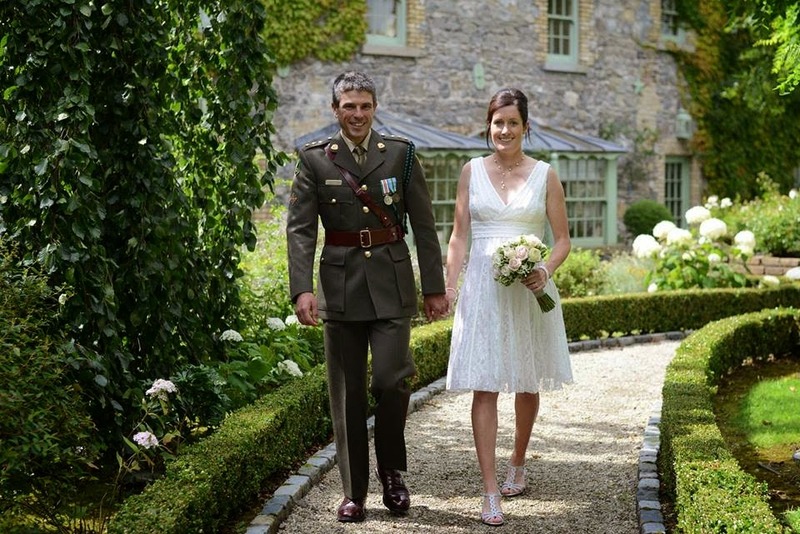 Congratulations .. to 2012 Irish Ladies Champion Maeve O'Grady and Dan Morrogh (DFO) on their wedding this week. Quote of the day: “The secret”, said Niki Lauda, “is to win going as slowly as possible”. This applies to orienteering as much as to Formula 1 racing. By the way, you can now follow The Irish Orienteer on Twitter: there's not much there yet but see here anyway! Thanks to Helen Baxter, Jean O'Neill, Brian Corbett and all the other people who, wittingly or unwittingly, contributed to this issue. Remember, you can visit The Irish Orienteer's archives and read the orienteering news for the past 30 years or more here. 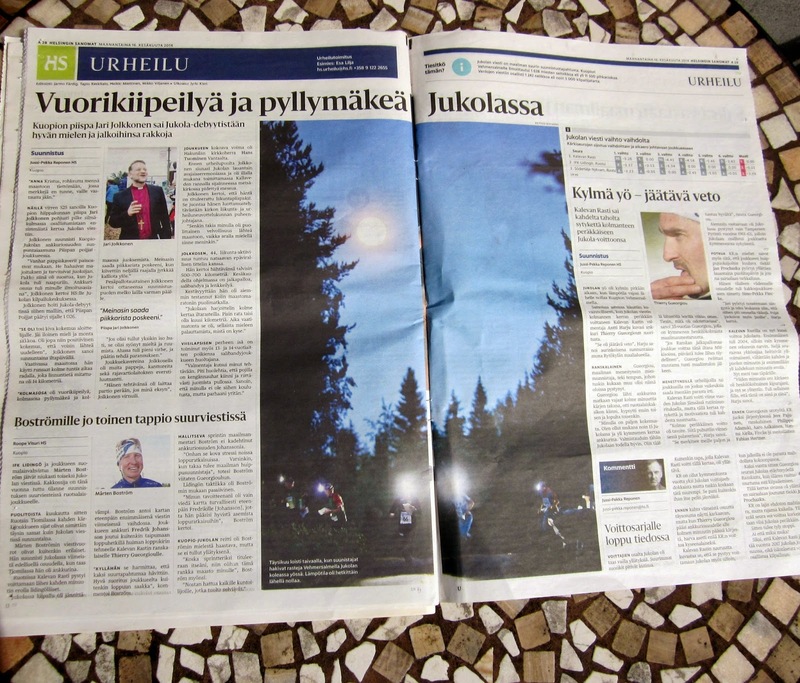 Any of you who have heard of the Jukola will know that it is a 7-person overnight relay competition in Finland each June, this year on the 14th/15th. The race, which starts at about 11 pm, is preceded by the Venla relay, a four-person women's race in the afternoon. This year there were more than 1600 teams in Jukola and more than 1200 teams in the Venla, and the organisers estimated that, with families and spectators, there would be an attendance of about 30,000! Kuopio is an hour's flight or about 6 hours drive north of Helsinki and the competition area was on Finland's biggest inland island. I flew from Dublin to Helsinki via Stockholm, and after a couple of hours, an onward flight to Kuopio, where we arrived at about 1 a.m., and it was still bright enough to see clearly. We picked up the hired cars and drove another hour and a half or so to our home for the weekend, a wooden cottage by a lake in the forest. Arriving at 02.30, it was almost broad daylight again, just time for bed! After a few hours sleep and a leisurely breakfast, we drove to the competition area, following the line of cars and camper vans on the same route. Big fields of cars, muddy after a few days rain before the event, and a huge array of circular green army tents for the teams filled the assembly area, with big white tents housing sports supermarkets and all the other ancillary services needed by a competition of this scale. I was running on a London Orienteering Klubb team and there were also teams from Trinity College in both the Venla and Jukola. I was to run leg 5, a 7.6 km leg, theoretically at about 7 am if all went well on the first four legs, so I wouldn't need my headlight - just as well, as I hadn't brought one. The evening was spent in the tent, estimating running time (worst and best case scenarios) and gauging when to eat and sleep. The ground underfoot was like a ploughed field due to heavy rain beforehand, and the wellies were out in force.The crowds assembled to see the mass start at 11 pm, with the warning that the start signal would be from an army field-gun but also with a fly-past from a Finnish air force jet fighter which came in right on cue, skimming the treetops and rocketing vertically into the sky with a heart-stopping roar, disappearing in seconds into a tiny spot in the distance: very dramatic! See a video of the start here ... and here's another for good measure - less professional but capturing the feeling! Just time for a doughnut and a hot chocolate, then into the sleeping bag, ready to get up for a 7 am run. It was so cold during the night that socks, hats and even towels were needed to keep warm. I woke suddenly at 7 am, alarmed that I might have missed my incoming runner, David Rosen. The plan had been for each incoming runner to go back to the tent and waken the second-next one while the intervening runner was in the forest. Due to some bad runs during the night, we were running behind schedule, so I was in plenty of time. Dressed, out into the early sunlight. A quick "Happy Father's Day!" from Eoin, who I met accidentally on the road, and off to the changeover area to wait. Control 1, across the flat forest with drains and undergrowth, over the hill, across the marsh, up onto the second hill. What's that crag doing there? I must be further right than I thought. Over the hill and follow the flat forest and up to the small re-entrant - not quite what I planned but OK. Control 2 - along the hill to the right, through the band of young trees and down the hill: slightly too low - climb up to the right - there it is! Leg 3 - short leg: around the hill and down to the spur - fine. Legs 4, 5, 6 ... all fine. 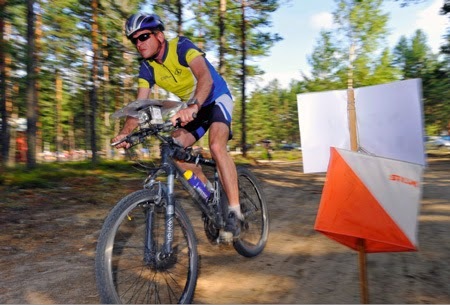 The area was quite hilly by Finnish standards, but not by Irish: the 7.6 km course had 285 metres climb and 17 controls. Runners going every direction, some on my course, some not. The map has the three-digit control code printed beside the control number ( 1-283, 2-280 etc) so there isn't too much opening and folding of the big map to see what's coming up next. Missed No 8 by a few metres and had to come back up to it, a 1.6 metre crag in an area of crags. Back on track again- no heroics, just a jog with a map! Control 12 - easy, boulder, looking forward to a drink on the road just after it. take a bearing, take a drink, run into the forest on the elephant track - but where is the control? 200 metres from the track, on a hill, NE-foot, # 159? No sign of it. Back towards the drinks station and try again ... same result. Is the drinks station in the right place? Run along the track but it's vague in every direction. Go to the crest of the track and take another bearing ... still no control. OK - get outta here. Head south, maybe see the shooting platform; if not, hit the small track. Suddenly, a little orange and white flash in the corner of my eye - I live to fight another day. 12 mins 30 seconds to do less than 300 metres - 1458th out of 1477 on that leg! Across the flat forest, up over the hill with the bare rock and crags, look down the big cliffs and know I have to go left a bit for No. 14, then follow the ridge down towards the final controls, the PA getting louder with every step. See the car parks and the tapes - nearly there. Make sure to get the last control right, not like last year when I only got the right one after three attempts: into the finish, over the footbridge and under the gantry. Manage to raise the pace a bit for the 220 metre run in - 589th out of 1476 runners on that leg. At least I picked up 44 places despite my problems with unlucky control 13. When Ronan and Eoin finished we had come in 1,220th place, slightly behind our race number 1201: not bad considering the catastrophic night leg 2 where we dropped more than 500 places! Anyway, it's not all about winning, is it? Most of the teams obviously have no hope of coming even in the to 100, and they are made up of families, friends, workmates and occasional orienteers. The event facilities include a beer tent and a sauna, plus hot showers and all the O-gear you could ever want, so there's plenty to do. There's even a forest church and (sometimes) a betting office where you can bet on the Jukola results. After our runs it was a spot of shopping (no end-of-day bargains this year though) and back to the cottage for a swim, sauna, dinner and mosquito hunt. The weekend is a fantastic orienteering experience, and looking at the age range of runners taking part, there are plenty of old dogs with life in them still! One suggestion, though, to avoid the huge numbers in the Sunday morning mass-starts, is to start the Jukola earlier, maybe at 10 instead of 11 pm: it will be equally dark during the night but it will give more runners a chance to come through before the 08.45 mass-start cutoff time. Still, I don't imagine that many of the Jukola organisers read TIO? 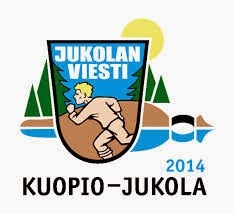 Next year's Jukola is at Turku, in SW Finland, quite easy to reach by road from Helsinki and by ferry from Sweden. - and I believe the post-Jukola ferry trip back to Sweden is a party experience not to be missed! 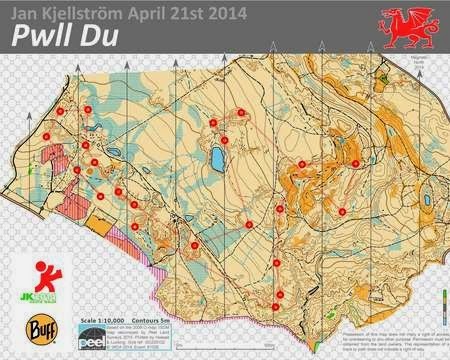 "In my experience, good orienteering course planning is like good writing. First, consider your audience. Who are you doing this for and what are their needs? Second, create a structure. Have a beginning, a middle and an end. Have fast, exciting bits, long, twisty bits and a few surprises out of the blue. You are trying to keep your audience on their toes not falling asleep from boredom. Last, edit the heck out of it. Your first attempt is not the final version. It is a draft. Make sure each part serves a purpose and that you keep repetition to a minimum. Keep editing until you have just the right pace and tone. Good course planning takes time, thought and theory. With that in mind, and a focus on creating good legs rather than good controls, anyone can plan fantastic courses." See the full "Course Planning" issue of Orienteering Canada here. (Thanks to Nick Barrable of the excellent CompassSport magazine for the tip-off). 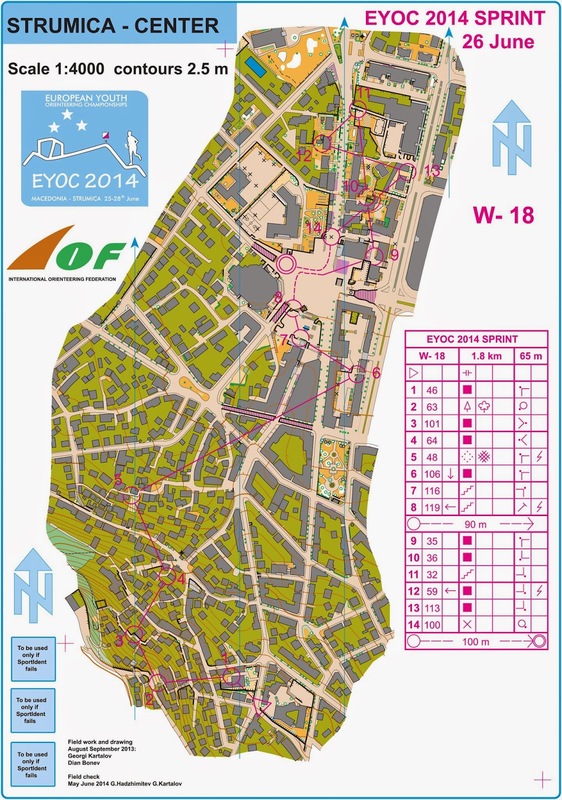 Read the latest issue of the International o-Federation's magazine "Inside Orienteering" here. I came across two great initiatives on the British Orienteering web site recently, both aimed at getting people orienteering without them noticing. The first, "Xplorer", is aimed at primary and pre-school kids and their families, doing a kind of map-based treasure hunt in local parks and finding pictures of animals and things to complete the course (see here). The second, Run Challenge, is aimed at adults who are interested in outdoor exercise (joggers, running clubs, triathletes, sports clubs) who do a 45 minute treasure hunt type event using a modified OS map to find as many clues as they can. See here. Nowhere is the word "orienteering" mentioned in these sports, but the transition from either of these activities to "real" orienteering should be pretty seamless. These are the kinds of things we need to adopt before orienteering dies of old age. We absolutely must get more young people into the sport - this is not just an Irish problem, but we have to deal with it ourselves, for our situation. At the risk of flogging a dead horse, there are populations of people out there who need to discover orienteering - the problem is that they don't realise it. The whole scouting organisation is ripe for orienteering but we don't have any contact with them; the National Scouting Centre at Larch Hill doesn't even have a current O-map. The production of several university campus sprint maps is a great development: we need to bring the maps to the people, not the other say around. "Do you guys even realise that kids nowadays are growing up with knowing the forests only from TV-documentaries or excursions in school who never leave the paths. Can you imagine that there are people who never had the sensational feelings of running through a river, dangerous downhills , climbing uphill so steep you have to use your hands not to fall, swimming through a marsh, running into a spiderweb, running to green forest where you smile because you know only few persons in history have ever been there before! 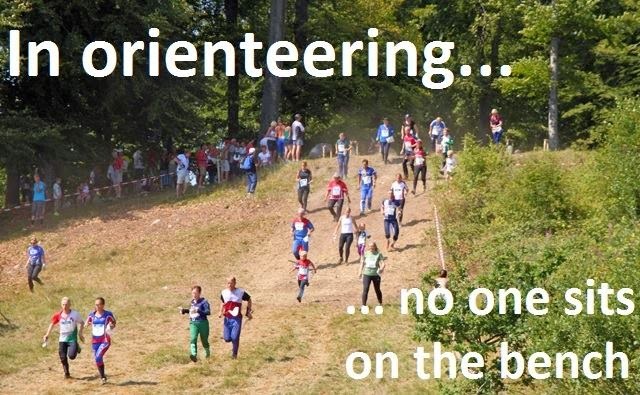 That, ladies and gentlemen, is why we have the best sport in the world and people from other sports will never understand " - from the "Orienteering memes" Facebook page. 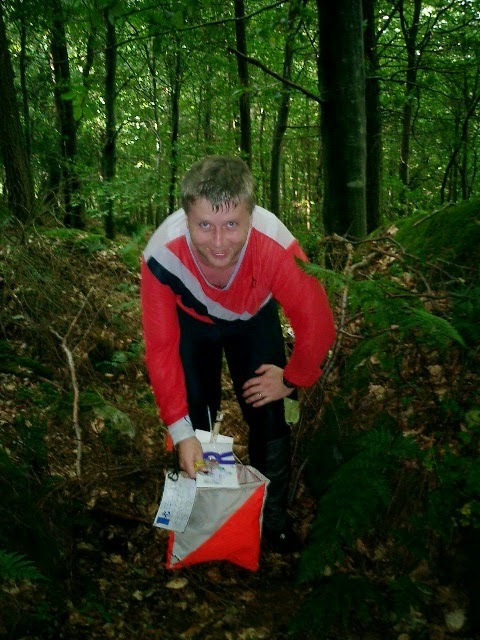 It's really interesting to go back in time to see what was happening years ago in orienteering: for old timers it brings back happy memories, for newcomers it shows the development of the sport and what has gone before. Read the Autumn 2004 issue of The Irish Orienteer here. Read the September 1994 issue here. Read the July-August 1984 issue here. Back issues can be found on the IOA web site under "Archive" here. The 2014 Irish JWOC team were all set for their Bulgarian challenge - by recent standards it was a small team of three final year juniors. The team consisted of two LVO juniors, Mark Stephens and Jack Millar, and 3ROC's Eoin McCullough, their coach and leader for the week was Ivan Millar. The LVO contingent flew out from Dublin early on a Wednesday morning about a week before the competition began. The team were heading for the popular Bulgarian ski resort of Borovets which would be the main base for the national teams and the competition event centre. Borovets is located about an hour's drive south of the capital city, Sofia - unfortunately there are no direct flights from Ireland into Sofia so the best option was to fly into the Romanian capital, Bucharest, and drive south to Bulgaria from there. The plan was to drive to Borovets via Sofia airport were we would pick up our third team member Eoin who had just spent a week orienteering with the Irish World Champs team/supporters in Italy. It turned into a bit of an epic journey though as we battled massive traffic jams that had built up on Bucharest's questionable ring road and officialdom at the border. Eventually a few hours later than planned we collected Eoin and made our way to our accommodation for the training phase. We had already had the benefit of a Bulgarian JWOC training and preparation camp in the spring. It was vital to have this experience both for the competitors to get a taste of the various terrains and also for the team officials to find their way around, get a feel for the location, the locals and how they operate. It is also important to find out where the closest shops are for purchasing massive amounts of chocolate biscuits, bananas and bottles of water! The first JWOC race (the sprint) was to start the following Tuesday, so that gave us five days of training. Before leaving Ireland I had arranged 6 or 7 specific training exercises for the team on the areas provided. We had PDF quality maps from the organisers and using OCAD I plotted the courses and exercises - many thanks to LVO for letting us print off a few copies of each of the exercises. The competition terrains to be used for JWOC were going to be challenging and varied so it was important to experience all of the areas. Our first training day was in Samokov town. Samokov is the closest real town to the Borovets resort and would be the venue for the sprint race. There was a small mapped area provided for sprint training, taking in a town park and some residential streets. To break us in gently we had some sprint sessions around this area. We then headed to a mapped forest overlooking Samokov town for some relay type exercises in some uncomplicated forest terrain which had many paths and would be very similar to the area being used for the relay competition. 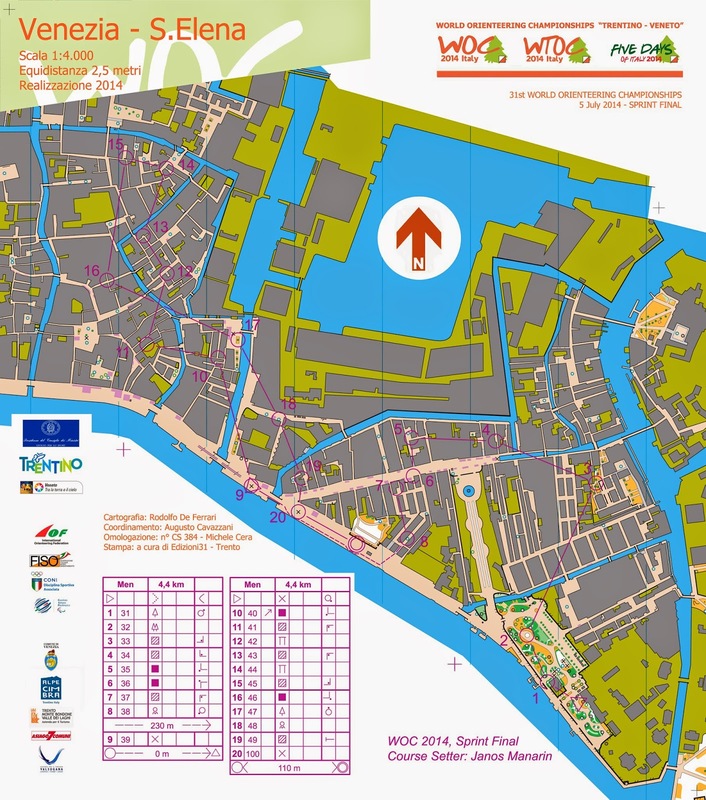 The JWOC competition programme comprises 5 orienteering races, three of these races could be considered middle distance (middle qualifier, middle final, relay) so I had focussed much of our training with this in mind. The JWOC middle race was to be held on an area called Zheleznica which provides an area of terrain with specific challenges. The forest has good visibility but the challenge is to understand the shape of the ground which is quite steep and complicated with many re-entrants and erosion gullies running down the slopes. It can be very difficult to judge distance when running across the slopes with a high risk of parallel errors and to compound things further relocating after a mistake is very difficult. It promised to be a real challenge so time spent on the Zheleznica relevant terrains was essential. Luckily part of the Zheleznica area was opened for training and on the Friday we headed there for some training. I had three courses planned, each focussing on a different element of the map (rocks, rivers, and contouring the slopes). In the afternoon we headed to our favourite forest Relyovo for a control pick exercise. After breakfast on Saturday we headed to a forest called Shiroki Dol for some training that focused on downhill navigation, as the long distance race promised lots of downhill running. The training course was planned in five downhill sections, with an uphill walk/jog between each section. Shiroki Dol offered a few different technical challenges and each of our downhill sections focussed on one of these. Satisfied with our mornings training, we headed back to the car for some lunch and in the afternoon travelled into Sofia to pick up the latest addition to the team, Harry (Millar), who had taken time out of his European rail trip to be assistant coach and supporter for the team. Sunday morning started bright and warm and, as this was the last day before we moved to Borovets for the start of the competition, we decided to have an easy morning and train in the afternoon. That afternoon we went to the relay training area in Borovets, we focussed more on compass and identifying useful attackpoints to guide us into controls. Overall our training so far in the build-up had been pretty easy going, however it was important for the team to get a taste of race pressure before the real competition started so in the early evening we headed back to our favourite forest, Relyovo, for a middle distance simulation race. It was all serious as we walked to the start - no messing around with sticks or throwing pine cones - we had start boxes, start intervals and thanks to Harry we even had authentic start beeps! The course was set to exact length, climb and there were the same number of controls, we even had a spectator run through and final loop planned. Unfortunately the spectators couldn't make it from the start in time to shout encouragement, we made it to the finish though and the race times were good - the training was paying off. We spent our last night in our training accommodation where our host, Mrs Christo, provided a lovely meal for a hungry team. We then packed up and got ready for the next day's transfer to the competition hotel in Borovets and the next phase of the trip - the JWOC races. Jack, Eoin & Mark after a hard training session. Following accreditation we moved into our new rooms, unpacked, got lunch with the other teams, picked up the model event maps and planned our day. We were surprised at the newly updated maps (especially Zheleznica) - it looked a lot different; contours and forms had changed, knolls had appeared, there was now even more detail on an already complicated map! We would need to revisit before Fridays middle qualification race, however that afternoon we visited the long and then the sprint middle events for some casual training. It was great to have controls out in the forest at last, no more hunting for little red tags hanging from branches, this small improvement seemed to lift the teams confidence. That evening was hot and humid and at the first of the weeks team leaders meetings we were told of all the arrangements for the next day's sprint race and also that the forecast was for the weather to break in the morning. It was an early start the following morning as the team and assistant coach Harry got their first taste of what was to be the regular quarantine procedure consisting of an early bus to an athlete's holding area (usually a weather proof building) where there was a complete ban on electronic equipment and even escorts to the toilet. Wednesday was the day of the long distance final which was to be held in an area called Maliovitsa. The area is based on the lower, forested slopes of a ski resort 20km from Borovets. 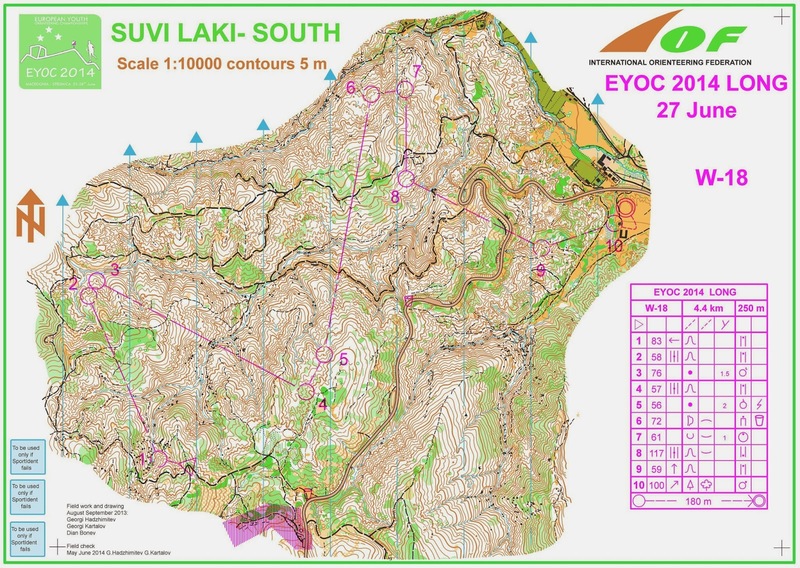 The courses were planned by Bulgaria's top elite orienteer Kiril Nikilov and promised to be challenging with at least one long leg, with route choice option, and a runner separation system (butterfly loop). Spectators and coaches had the benefit of a competitor run through, so as the runners pass through the arena we could gauge their progress and offer a word or two of encouragement. The next day offered a rest day and an excursion for the competitors to some ancient ruins. For the rest day we opted to skip the tour of the ruins, get some rest in the morning then have one last visit to Zheleznica before the middle races began. Our last training on Zheleznica was on the new model maps and the improvement in map detail and quality was amazing. It gave us more confidence going into the middle distance races, knowing that the tricky terrain would test our map reading skills to the limit. With 5 races during JWOC and only 2 down I reminded the team that we weren't even half way yet and even if some were disappointed there was still time to improve results. The next morning was an early start for the team, they boarded the buses for the hour long trip to the Middle qualification races. Harry again did a great job at the quarantine with the team, keeping them in good spirits pre-race. The middle qualifying race is split into three heats of similar length, the top 20 finishers from each heat progress to the A final, the next 20 make the B final and the remaining 20 or so will run the C final races the next day. The team had all trained well for these races and we hoped for good results and were very pleased when Eoin and Jack both made the B final, even though made some mistakes along the way. Mark struggled to keep contact on a few legs and lost some time but was looking forward to a tough task on the C final. The Middle final was held on the remaining (southern) part of the Zheleznica map. The area was similar in nature but with more rock detail to further complicate navigation. Eoin and Jack again made a few mistakes, Eoin finished in 37.40 in 33rd place, whilst Jack was 44th finishing in a time of 41.29. It was worth noting that the A and B finals were similar courses with the same length of 3.7 km. Both finals had strong fields with similar winning times and Eoin and Jack can take heart from running faster than many on the A final. Mark had his best run of the competition so far with an excellent result of 13th in the C final, finishing only 6 minutes behind the winner, Corentin Roux of France. The night before the relay at our last team meeting we reflected on how things had gone for the team over the previous week or so. We had all had some highs and lows, and enjoyed some good racing and training. We also reflected on the journey the team had taken as Irish juniors and how we had encountered similar ups and downs along the way. For the team it would be their last major relay race as juniors, they had raced many times together before and all had good speed and with a bit of luck and three clean runs, I knew we were capable of a good result. Relay day dawned overcast with the threat of rain. The relay area was in the surrounding forest of the Borovets resort with the arena situated in front of the resorts main hotel and at the foot of ski run. The spectators would have a great view of all the action as the teams passed by, ran a final lop of controls and then sprinted across the slope to the final control and run in. The women's race started first at 10:00am and at 10:15am Jack lined up along with 53 other starting teams in the men's race. Right on cue the heavens opened and the thunder roared overhead as the starter sent the teams off into the forest for the first leg. The forest around the resort is often used for cross country skiing and has many paths, technically it was probably the least challenging area used all week and could be described as most similar to an Irish forest with some dense patches of undergrowth and generally messy ground cover effecting running speeds. Anything can happen under the pressure of a relay and the potential for mistakes was still a real threat. Jack ran hard on first leg staying well up in the main bunch of 30 or so runners who were spread out over 2 or 3 minutes. Mark took over in second leg with a few of our "target" teams just ahead and behind him. He had another great run, handling the pressure well and passing over to Eoin running last leg. Eoin finished off a great JWOC week for him, with a fast run holding off the Australian team and almost catching the German runner ahead on the final loop. We were delighted with the end result - 20th nation and 28th team overall out of 54 that started. The relay was a great end to a great competition in Bulgaria were we treated to challenging and varied running terrains, pleasant running weather, excellent event organisation and helpful, friendly hosts. There was only one last thing to do... PARTY! So, as the majority of competitors let off steam at a local nightclub, I packed and loaded the car in preparation for our 3 am departure to Bucharest. The team turned up on time and good form and as they snored their way through the dark Bulgarian countryside I reflected on the past few weeks we had spent orienteering and looked forward to the next JWOC challenge of Norway 2015. - Ivan Millar, LVO. (Thanks to Ivan for permission to publish this). Four MTBO events have finally got off the ground in Leinster on the Saturdays in September: Djouce, Co. Wicklow (6th), Curragh (13th), Saggart (20th) and Three Rock (27th). Two courses will be on offer each day, and the organisers are hoping to attract a mixture of orienteers and mountain bikers. Details on the IOA Fixtures page here. Congratulations to W18 Róisin Long (Ajax), M18 Paul Pruzina (LVO), W20 Niamh Corbett (CorkO) and M20 Eoin McCullough (3ROC) on their selection for the Junior European Championships in Belgium at the beginning of October. See details of the competition here. Fermanagh Orienteers are staging the 2014 Northern Ireland Championships at Castle Saunderson, Co. Cavan, on Saturday 4th October. See details here. The weekend will also include training for the Irish elites with GB 2013 World Championships silver medallist Scott Fraser. Andrius Michailovas, a Lithuanian elite orienteer working in Dublin, invites us all to the Lithuanian Cup on October 18/19: see details here. There's a middle distance and a long distance race, and Andrius says there's lots to see and do in the area. Ryanair fly from Dublin to Vilnius, but not every day - travel out on Thursday and back on Tuesday for less than €90 return, or out to Kaunas on Friday and back on Monday for €110. The competition is about 2 hours from Vilnius. Congratulations to the Irish Junior Team on beating Wales at the Junior Home International in Scotland at the end of August. Realistically, the Home Internationals are two competitiopns: England v Scotland and Ireland v Wales. Let's hope the Vets (Forest of Dean, September 13/14) and Seniors (Aberdeen area, October 18/19) can follow suit! ...and finally, here's something I found by accident: an IOF video of the World Championships sprint finals in Venice in July. It's aimed partly at non-orienteers as the commentator, Clive Allen, explains the basics of the sport, but the GPS routes and the footage of the runners on the course are great. See if you can spot the mention of our Nick Simonin. It makes me want to go back to run in Venice again, but the London City race on September 21st will have to do for now! Watch it here. It doesn't seem that long since the last TIO in June, but in the meantime we've had a range of events from the summer evening events at home, the 17th Setanta Rogaine in Wicklow, the Jukola Relay in Finland, the European Youth Championships, the World Championships, and the Junior World Championships, plus multi-day events in many countries. However, don't expect a report here on them all, unless you can write one yourself: so a particular thanks to Róisín Long for her report on EYOC in Macedonia. On a sad note, we learned of the death of veteran Munster orienteer, Pat Long, at the beginning of July. Pat was a member of Munster Orienteers (before they were called Lee Orienteers) in Cork and was very involved in the early days of orienteering. In my student days, back in the '70's, when I might hitch-hike from Dublin to Tipperary for an event, and stay in Ballydavid Wood youth hostel with the formidable Mrs Dowling, Pat was kind enough to ferry me around to events in the area in his Renault 6. One of his claims to fame, apart from breaking a leg while being avalanched on Carrantouhill, was what became known as "Long's Law of Diminishing Returns" which highlighted the fact that the biggest gain in time when orienteering is the transition from walking to jogging: if you can walk a course in, say, an hour, you could jog it in perhaps 40 minutes, saving 20 minutes. If you were to run it, you might finish in 30 minutes, only saving 10 minutes, and if you were to run hard, you might bring the time down to 25 minutes, saving only 5 minutes. I don't think Pat would have liked a big eulogy, but he was a lovely guy, with a quiet sense of humour. Donal Burke, adds: Pat was a very active & competitive orienteer in his day, joining Munster Orienteers in 1974 (becoming Lee Orienteers later). His background and entrance in to the sport came from his interest in all things outdoors, being a long time member of the Cork Mountaineering Club. He surveyed and drew several areas in the 80's as the sport became more widespread including Scartnamuck (North of Bandon), Castlefreke, Malabracka & Derryleigh. He did a new map of Seefin (recently back into action again) and got map of the year award in 1980 for it. On the competitive front he won an M35 Irish Champs beating Aubrey Flegg. He also played rugby with Highfield and soccer with Cork Hibernians resulting in bad knees which brought an end to his orienteering. Thankfully he remained involved in the sport, planning and controlling a good number of events at the Shamrock O-Ringen. Pat continued hill walking, rock climbing with trips to Scotland, the Alps and further a field having had a knee replacement about 10 years ago. A pure gentleman, softly spoken and generous with his time, Pat will be missed by his many, many friends. JK2014 – Better late than never! The Jan Kjellstrom O-Festival moves around the UK every Easter and this year the event was in south Wales. Entries topped 3000, with a good number from Ireland, North and South. The Junior Squad made a tour of it, staying at a caravan site in the National Park. The terrain for three of the four events was open mountainside, a gamble for the organisers from the weather perspective. The first event – the Sprint – was in Swansea University. The University and the neighbouring park gave two types of terrain: buildings with passageways and steps on the campus, and parkland across a fence with two crossing points, and a patch of a botanic garden with small paths between the two. The sun shone and there was a festival atmosphere. The whole area was on a hillside so it was physically quite testing but the navigation was straightforward enough. On the other hand, they say that if it's too easy it means that you're not running hard enough! Best Irish result was Ruth Lynam (CNOC) 1st W60 but top 10 placings also went to Jack Millar (M20E), Frank Martindale (M75), Una May (W45), Mary O'Connell (W50) and Niamh O'Boyle (W21E). The two main events were on adjoining areas at Merthyr Common and Llangynidr: open limestone plateaux with an extraordinary number of pits and depressions. The two races shared an assembly and finish area, with parking on the roads of a huge quarry. Nesting peregrines near the assembly area meant that the organisers lost parking for several hundred cars close to the finish. (Birds seem to cause problems for the JK – the elite start and courses had to be changed at the last minute for the classic distance race at the 2011 JK in Northern Ireland for a similar reason). Using exposed upland areas was always going to be a gamble but conditions on Saturday, when the Elites had a middle-distance race and the others had a full length competition, were perfect for running. Watching the weather forecast, though, we knew the rain was approaching: late starters on Sunday were the most at risk, and cagoules were mandatory for all runners. Most courses started on the edge of the huge quarry, with the first controls almost within sight of the start, though this didn't make them any easier! Out on my course I there was thunder and lightning followed by heavy rain, but the later starters had rain all the way around. Hector Haines (Interlopers) won the M21 Elite over the two days and Claire Ward (ESOC) won W21 Elite. Again, the best Irish performance was Ruth Lynam's great win in W60L, and wins for Caoimhe May (W12B) and Helen Pruzina (W20L), with top-ten places for Daire O'Brien (3rd M10B), Jana Cox (3rd W20S), Bríd Casey (4th W40S), Rebecca O'Connor (4th W20S), Donal Kearns (4th M18S), Una May (5th W45L), Sophie Pruzina (6th W16B), Aonghus O'Cléirigh (6th M50L), Aislinn Callery (7th W10A), Aoife O'Brien (7th W12B) and Mary O'Connell (8th W50S): 10 girls and 3 boys – what's going on here? See the full results, maps etc here. The Relays on Monday were at Pwll Du, which was actually part of a UNESCO World Heritage Site because of its interesting industrial history. The choice of the area was inspired – who would have thought that a collection of slag heaps and mine tailings could turn into a great orienteering area? The rain had passed and the assembly area provided a good view of part of the courses with the incoming runners streaming towards the finish. UK clubs seem to be numerous and big enough to field competitive relay teams in a range of classes, so the excitement of a big relay was very much present. Scottish club Interlopers won the JK Trophy and there were very good Irish performances from CNOC (10th), 3ROC (12th) and CorkO (14th). An Irish Junior Squad team of Emer Perkins, Clodagh Moran and Róisín Long finished 2nd in the Internediate Women's Relay but, because they were from different clubs, weren't an official team (but they got a special prize anyway!). South Yorkshire Orienteers won the women's trophy with CNOC 7th. And I forgot to mention the cuckoos! Reassuringly, the June CompassSport magazine, which arrived in the door recently, has a piece on JK2014, so I don't feel so bad about the lateness of my brief report! Next Easter the JK moves to the English Lake District – the best terrain in the UK south of the Scottish border. The event will use three fantastic areas – Ulpha Park, Bigland and Greythwaite, with the Sprint at Lancaster University (less then 2½ hours from Holyhead). The dates are 3-4-5-6 April 2015. See here. Definitely worth the trip, whether you have ever been to the JK or not! This year Aoife McCavana, Caoimhe O'Boyle, myself (W18), Paul Pruzina, Peter Meehan, Frazer Howe (M18), James Millar and Robert Pim (M16), travelled to EYOC in Macedonia along with Ruth Lynam and Mike Long in late June. I was slightly apprehensive about this year's EYOC. Firstly, because I hadn't done as much training or orienteering in preparation for the competition as I would have liked to due to the Leaving Cert, and secondly because there were no old maps of the competition area posted online, so we didn't really know what to expect. We arrived on the Monday and the competition didn't start until the Thursday, so we spent our first few days training and getting to know the area. The forest where the Long Distance and Relay would be held turned out to be mostly runnable white forest, with some areas of slower light green and lots of intricate contour detail. Plus it was steep. Really, really steep. The sprint training area consisted mostly of wide, straight streets and some open park areas. The Macedonian people turned out to be very friendly and helpful, and everything in the shops was very cheap. Taxis were free if you were taking part in EYOC so we took a taxi a few times to the local swimming pool in between training sessions to try and avoid the heat. Everyone drove crazily though, and seatbelts were rarely used! We stopped going to the pool when we saw the aftermath of a car crash which involved a taxi that looked suspiciously like one we had been in that day..EYOC consists of a Sprint, Long Distance and Relay race. The competition started with the Sprint race around Strumica on Thursday, and we gathered in quarantine early that morning. Quarantine is an area which competitors must remain in before they start their race to ensure that no one has an unfair advantage over anyone else by seeing the map or course beforehand etc. No mobile phones are allowed and you cannot leave quarantine until you start. The Sprint race area turned out to be quite different from the model area, with lots of steep steps and narrow winding passageways. The second half of the course brought us down to a wide main street, with controls located in the gardens and yards around the buildings of the street. I was quite happy with my race, I made one or two poor route choices but overall I didn't make any mistakes and I ran as hard as I could. The standard at any of these major international orienteering competitions is always very high, so I was pleased to finish in the top 40. I was one of the first finished of the Irish so it was nice to be able to cheer on the rest of the team as they ran through the arena halfway through their course, and as they finished. That night we attended the opening ceremony in the centre of Strumica, and paraded through the town with all the other teams to the main square. It was the last EYOC for Aoife and myself, and so we were allowed to carry the Irish flag as we made our way through the town. (There's always a bit of an argument about who gets to do that!) The opening ceremony was really impressive, with fireworks, music and traditional dancing instead of the usual endless speeches. It was pretty late when we got back to the hotel that night, and with a 5:30 am start before the Long Distance the next day, it looked like we weren't going to get much sleep! Everyone napped on the hour-long bus ride up to the mountains and quarantine the next morning. Although we all complained a little bit about the early start it was definitely a good idea, as, even by the time I was starting, the sun was getting unbearably hot. The terrain was extremely physical, which explained the short course lengths (4.4 km for me). Some of the hills were so steep that they were more like cliffs! Our course had very few controls and several really long legs. I wasn’t that pleased with my run, my route choices were quite cautious and I could have been more accurate in the circle. I enjoyed myself though, the map was excellent and the forest really beautiful. Everyone had a great time at the party that night- it was an opportunity to relax a bit and socialise with the other teams. For some reason (!) we didn't think to bring water guns with us to Macedonia in our hand-luggage, but it seemed like every other team had, so we got pretty soaked that night! The relay started early the next day, with Caoimhe and Paul on first leg for the Irish teams. Caoimhe handed over to me and I went out on second leg. The first half of the course was through fairly straight-forward (but steep!) white forest, while the second half went through some of the most complex relay terrain I've ever seen- an intricate mix of green and light-green forest, with detailed contours. I went quite slowly but was pretty accurate and mistake-free, and passed over to Aoife satisfied enough with my run. The arena offered great spectating as every runner had to both run through the arena halfway through their course, and visit a spectator control twice. When all the runners had finished and the prize-giving was over we headed back to our hotel on the bus to pack. We also took part in a fast and furious sprint relay event around the hotel grounds that night, organised by the Swedish team. We actually did really well (possibly because the entire Russian team was trapped in the lift at the time!) and James won a prize of a bouquet of flowers. Despite our flight being at 12 noon the next day the organisers announced we would have to leave the hotel at 1 am the next morning, ensuring that we left Macedonia very sleep-deprived! 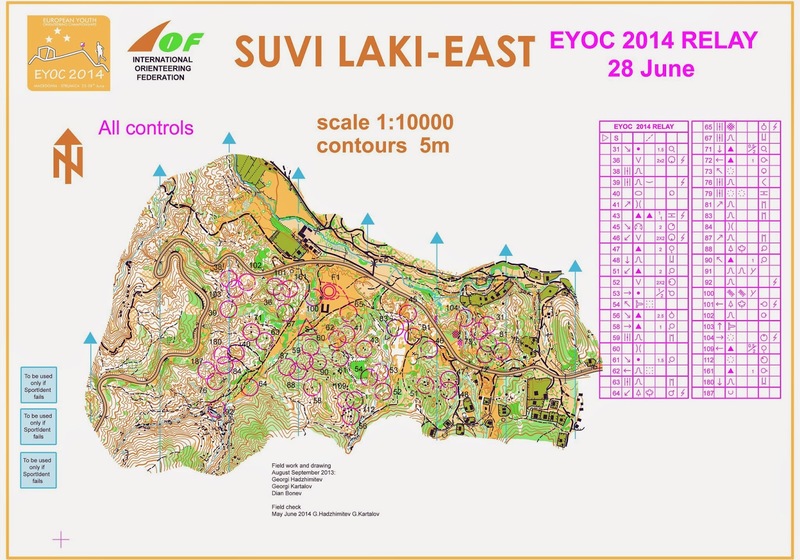 See the full EYOC results here. There's some more on the IOA web site here. If it's Tuesday it must be Belgium. Orienteering as a spectator sport? Is it really possible? The organisers of this year's WOC in Italy certainly tried their best to make it one, with live tracking of runners, big-screen views from out on the course, live TV, and exciting blow by blow accounts from commentator Per Forsberg of who was catching whom on the courses. Added to this were a sprint race in Venice on a Saturday afternoon and the first sprint relay in the old city of Trento (famous for the Council of Trent) which packed the spectators in. The cost of staging the World Championships is substantial and part of the way of recouping this is by running a parallel event for non-WOC runners who want to share the atmosphere and run on the same areas (or to “feel like a world champion” as the organisers put it). This year the 5-Days of Italy filled the bill, though when the “extra” races were added it became eight days of orienteering even though only five counted for the competition. This mix of WOC, 5-Days and “extra” races became rather cumbersome and could surely have been simplified. The cost to the competitor was pretty high too – at about €700 for a family to run most of the races. 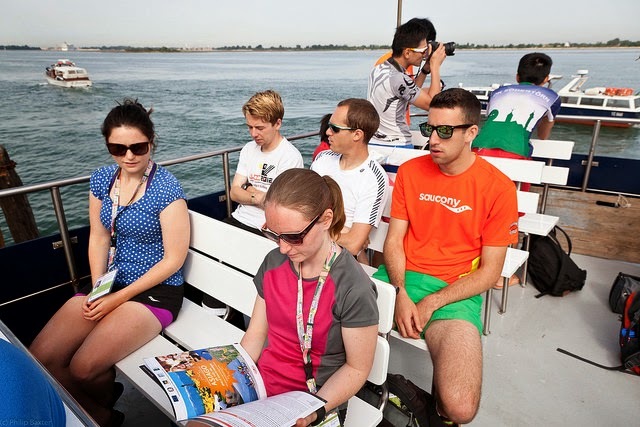 Had the event been run in Switzerland, the cost of the ski-lift (€3) on one day and of the vaporetto (water bus) in Venice (€7.50) would probably have been covered by the entry fee. The prologue in Venice was great, particularly for those of us who had never run there in the autumn city races they have organised for several years. We just turned up at the start, punched and ran. Tourists with big suitcases, little old ladies shopping, and locals walking their dogs added to the challenge, where in temperatures of almost 30C even the smaller hump-backed canal bridges became a challenge to run over. When we had run, it was the turn of the World Championships runners who had had their qualification races that morning on the nearby island of Burano. The only Irish qualifier was Nick Simonin, though some other team members came tantalisingly close to making the cut: Niamh O'Boyle was 21st, 20 seconds off the 15th place she would have needed to qualify for the final. At this level, however, a second's hesitation will be punished. The excitement was heightened by the fastest qualifiers starting last so the final times kept getting faster and faster. In the end, it was Denmark's Soren Bobach and Switzerland's Judith Wyder who stormed along the quayside to the finish to take the Sprint titles. Nick finished a very creditable 32nd, 1 minute 39 seconds down on the winner. See results here. Up to the highlands of Asiago for the first day of the 5-Days, a middle distance race at Turcio on the Sunday, only about 800m from our campsite. Most of the days this week were either middle distance or short urban races, which seemed poor value for our entry fees but, when it came to running the races, it was plenty! In addition, it meant that the 5-Day competitors were less likely to overlap with the WOC races which could be in the same general area, and we were there to watch WOC. The forest held the remains of First World War trench systems, still maybe 2 metres deep with sheer sides, which had to be crossed with care. There was a lot of fighting in this highland region between the Italian and Austro-Hungarian armies, hence the trenches. Apart from the trenches, the limestone -based forest was reasonably runnable but quite rocky and stony underfoot and with parts of poor visibility. The three Irish parties (Corbetts from CorkO, Richardsons from Fingal and ourselves) all had widely separated start times within each car, making the days quite long – maybe a lesson could be learned here from the Scottish 6-Day where starting family or club members at similar times seems to pose no problem. On Monday we travelled the twisty roads to the old spa town of Levico Terme for Day 2, an urban race in the alleys and parks of this surprisingly hilly area. The first part of the courses was interesting, with small courtyards, alleys and passageways, but the final section was a downhill sprint through a simple park to finish beside the lake, followed by a welcome swim. After this it was off to Trento to see the first ever mixed sprint relay at a WOC. Here is where the lack of a coherent approach to the 5-Day and WOC became apparent – people didn't know where the race started, or when, or how to get there: we only found out by asking some of the helpers we saw heading out with controls on trestles. Anyway, after an ice cream, the race started at 5 pm from the Cathedral Square, with the sequence woman-man-man-woman. Just as the race started, so did the rain – gentle at first, them more fierce, eventually torrential, – a feature of the afternoons in this area. The runners passed back through the square in mid-course for additional spectator interest, and the Swiss team took the laurels by 3 seconds from Denmark, with Russia 11 seconds down, closely followed by Sweden. The Irish team of Niamh O'Boyle, Darren Burke, Josh O'Sullivan-Hourihan and Olivia Baxter finished in 27th place. Some additional drama was provided when a lady on her bike, oblivious to the competitipon going on around her, cycled blithely up the changeover lane and away through the crowd, luckily just before the final leg runners were let in. This was the first WOC sprint relay, although the format has been trialled at some World Cup races, but not every WOC-country is going to have a suitable location for such a race and the possibility of competitor and/or general public injury must be much higher than for conventional orienteering, so whether this format is sustainable is an issue. See the results here. Tuesday saw the first of the additional races, in the town of Folgaria, billed as in the historical centre and urban parks. Impossible to choose the right shoe, as it turned out, as the early part of the courses was in steep forest and alpine meadows, with the later parts through the town, between the pharmacies, beauty-parlours and craft shops. A pleasant run (four courses labelled black, red, yellow and white, with no indication of what any of them were like in terms of distance or technical difficulty). Wednesday, Day 3, (are you still with me?) was an early race at Lavarone, where the WOC event centre was, about 45 minutes drive from Asiago where we were camped and where the Event Centre for the 5-Days was situated. This was a really nice mix of hilly deciduous forest with tracks, coniferous forest and grassy meadows. Running conditions were perfect: sunny and warm, but hotting up later in the day for the WOC Long race. Again, Ireland's sole representative was Swedish-based Nick Simonin. We waited to cheer him on at the run through the arena, joined by local resident John Feehan from BVOC, and you could see the 16.4 km course with 820 metres climb and 33 controls was taking its toll on all the runners. The amazing Frenchman Thierry Gueorgiou came through to finish in first place, followed by Daniel Hubmann (SUI) and Olav Lundanes (NOR). Nick finished in a very good 40th place out of 74 finishers. Russian early starter Svetlana Mironova was a surprise winner of the Women's race, with 31 seconds to spare over Sweden's Tove Alexamdersson, with Switzerland's Judith Wyder third. See the results here. Thursday, Day 4, was our only “long” race, back at Lavarone again, with the same assembly field and finish as the day before. This was the ski-lift day, a €3 option that most competitors seemed to take to avoid a 2.5 km/250m hike to the start. Again, lovely running conditions and a really nice mixed forest with some challenging route choices. Friday had another additional race at Asiago, on a 1:4000 scale map of the town and the parks: not very demanding but run at sprint-speed it was still a tough race, with the additional problem of a locked gate on one otherwise viable route towards the finish: do I climb over or run back around? (Elite: climb over; Veteran: retrace steps and go around the long way!). After this it was off to Campomulo to watch the WOC Middle Distance race which finished in a spectacular natural amphitheatre at a cross-country ski centre. The Irish representative, Conor Short, was going well until a mistake in a complex area of low-visibility forest put paid to his ambitions for a good placing. The major surprise of the day, however, was the sensational disqualification of multiple Middle-Distance World Champion Thierry, who ran past his 6th control on a direct line between 5 and 7, without stopping, leaving a delighted Olav Lundanes (NOR) to take the Gold, followed by Fabien Hertner (SUI) and Oleksandr Kratov (UKR). The women's result was Annika Bilstam (SWE), Ida Bobach (DEN), Tove Alexandersson (SWE). See the full results here. Saturday, Day 5, we were at Campomulo ourselves, with rows of parallel limestone crags just above the start (think of the Burren in Co.Clare with forest on it) for our final race of the week.The M16 course was pretty challenging. See if you can find the track in among all the crags! The WOC concluded that afternoon with the Relays. The winning team in the man's race was Sweden, followed by Switzerland (1 min 9 secs later) and France a further 5 seconds adrift.The women's race was won by Switzerland, followed by Denmark (featuring Emma Klingenberg) and Sweden. 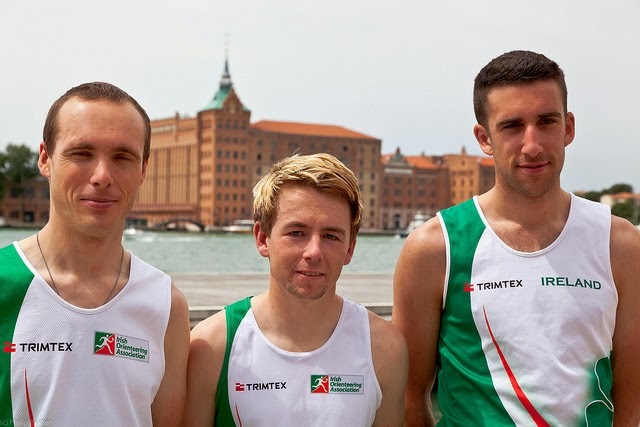 The Irish team of Nick Simonin, Darren Burke and Conor Short finished 27th, ahead of USA, Canada, Japan and Slovenia among others, and within striking distance of Slovakia, Portugal and New Zealand and only a single tantalising second behind Belgium. The result, however, was enough to earn a promotion, with Australia, from Division 3 to Division 2 in WOC terms, meaning that we will be entitled to a bigger men's team at WOC 2015 in Scotland. Well done to all the team: Darren Burke, Conor Short, Nick Simonin, Josh O'Sullivan-Hourihan, Niamh O'Boyle, Ros Hussey, Olivia Baxter and to Team Manager Philip Baxter. We're immensely proud of you! Did you know ... that the word "Cagoule", used almost exclusively by orienteers to describe a weather-proof garment for running in, is the French word for a hood? What are we doing wrong? We run Summer evening events in Leinster to attract newcomers but nearly everyone who comes is already an orienteer. In Cork it seems better, if you can believe the results, with up to maybe 70% of the runners not in a club. Looking at a recent "Irish Mountain Log", the magazine of Mountaineering Ireland, I was surprised to see the variety or activities covered, from hill walking to navigation, equipment reviews to alpine climbing, environmental issues to indoor climbing wall competitions. We have a multi-faceted sport with a great range of activities in orienteering too: local events, world championships, 24-hour rogaines. We also have a sport which is actually on the primary school curriculum ... and what are we doing about it? For every climbing wall there should be an orienteering map in a town park; for every primary school there should be a school ground map. Have we become too high-tech and imposing too high a standard of organisation and course planning on ourselves? What about a more back-to-basics approach with orienteering for the masses: simple, fun courses that you can run and get satisfaction from. 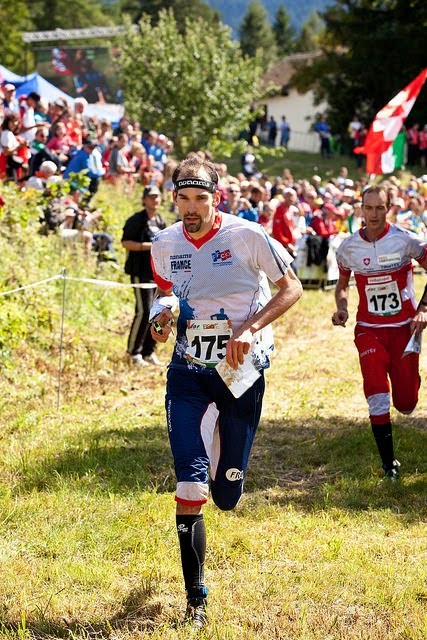 World Champion Thierry Gueorgiou said, when he gave a course at Tollymore in 2012, that orienteering should be "play", in other words it should be fun. Can we get the fun back in there while there are still some of us left? We've been overtaken by mountain biking and mountain running. What ill our next challenge be? Geocaching? Ireland is not among the 31 countries taking part in the World Military Orienteering Championships in Austria at the end of August. It looks like we won't have anyone at the World MTBO Championships in Poland this month either - not surprisingly, since MTBO in Ireland is even more specialised than foot-O. Any takers for a night MTBO relay? On the other hand we do have at team at the World University Orienteering Championships at Olomuoc in the Czech Republic in mid-August: Conor Short (TCD), Ruairí Short (Edinburgh University), Colm Moran (UCD), Eoin McCullough (TCD), Ros Hussey (TCD) and Áine McCann (Durham University); team manager Greg McCann. ... and we did have a team at the Junior World Championships (Jack Millar, Mark Stephens, Eoin McCullough) and Team Manager Ivan Millar: a trio of LVO Team Mangers this year with Ivan, Greg and Philip! Congratulations also to Ros Hussey and to Kyle Heron who got married recently. 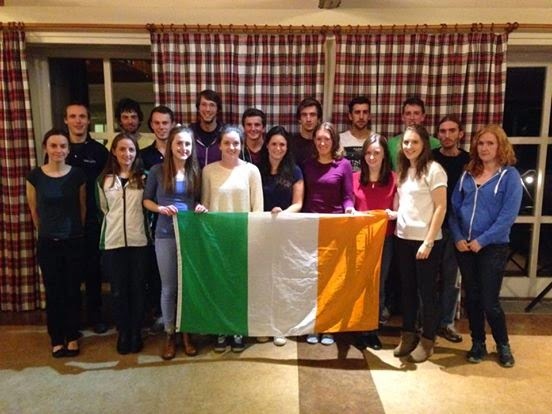 JWOC 2015 will be in Norway next summer and the Irish Junior Squad are spending a week training there this month in preparation for the event. Trondheim was the venue of the 2010 World Championships where the Junior Squad had a summer tour. (JWOC 2016 is in Switzerland and 2017 in Finland). Ireland's first foray into World Championships was in Scotland in 1976, in the same part as the 2015 event: int Inverness and Moray coast area. Scotland is close to us, it's accessible and the terrain is reasonably familiar: there's no need to travel to Scandinavia to train, so we should be able to make a serious effort with resourcing the team for next year's World Championships. The training has already started and there's a training week around the time of the Senior Home International ans the "Race the Castles" series in October. Ireland has been promoted into Division 2 in IOF-speak, so we'll be entitled to have more runners in WOC 2015 than we had this year. For your diary: the 2016 WOC will be in SW Sweden and the 2017 event in Estonia. In the next issue hopefully we'll have reports on the Jukola relay, the Rogaine, the Lake District 5-Day and who knows what else?